Searching Google, you can find tons of free video converter apps for Mac out there. We’re cutting through the chafe and giving you 5 best Free Video Converter for Mac that can meet your different needs. Each app also sits at a different complexity and skill levels, so if you’re just looking to perform a quick conversion without tinkering around you’ll be able to do that. Originally only a DVD ripping tool, Handbrake evolved into more of a universal video converter with its most recent release. Now it can handle pretty much anything you throw at it and then spit it back out in a new format. It’s well-polished, solid, reliable, and just an overall pleasure to use. Yes, I’m groveling so go and check it out. The great thing about ffmpegX is that it’s based on a large collection of Unix tools which give it excellent power and flexibility, plus it’s wrapped in a simple drag and drop interface. The variety of formats it supports is quite extensive and the level of customization it offers is almost too much. That is, if there was such a thing. Drag your video clip into the window and export to your chosen format — that’s all there is to it with MPEG Streamclip. If you require some extra control over the final product, there are a ton of options for that too. Is it a pretty program? No. Is it functional? Oh yeah. If you’re willing to delve headfirst into the software, MediaCoder is a capable program loaded with terrific conversion features. The interface, though bewildering at first glance, is relatively straightforward once you learn your way around, offering a boatload of customizable features for converting video to a specified output format of your choice. Whether you want to batch process a number of AVI files to MPEG or compress files for a reduced memory footprint, MediaCoder can handle it (albeit with a throwback design). Sadly, development on iSquint has been discontinued, at least in its current form. The good news is you can still get your hands on this helpful utility and it continues to work great at converting videos for iTunes. Eventually a new version will be released under a new name (it’s in open source development at the moment), but in the meantime you can enjoy all of its current benefits. Above are Top five free video converters for Mac users. Whereas, some limits with these free video converting programs always around you like limited output formats, heavy quality loss, slow conversion speed… and can’t meet the needs of users. That’s the reason there are still many users looking for a professional video converter for Mac OS X. 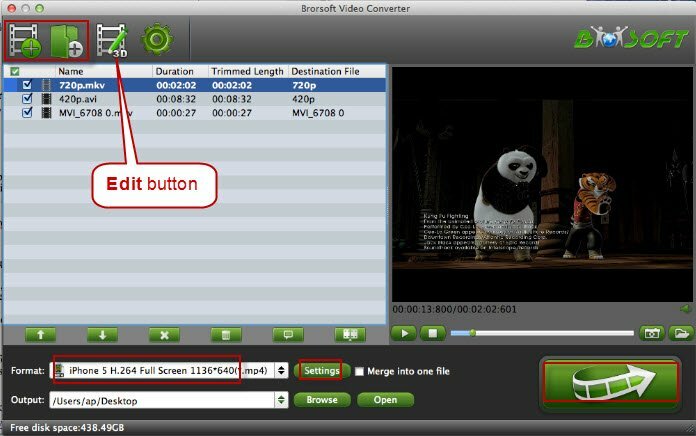 Here, the best alternative Mac tool we recommend is Brorsoft Video Converter for Mac. 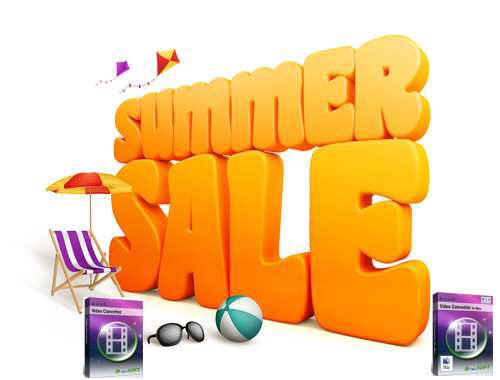 Overall, it is an all-in-one Mac video converter, player and editor. This full-featured Mac video converter software could convert among a diverse range video formats that you may want, including HD videos like MKV, AVCHD, M2TS etc, and regular video such as AVI, MPEG, MP4, DivX, XviD, MOV, FLV, VOB and so on. Besides, it supports converting video to iPad, iPhone, and Android, Windows based mobile devices with the optimal presets. With this software, you can also tweak the video, audio parameters that best suits you need. Thanks to its built-in editor, you can also easily trim, crop, set effects, add subtitles to your source video as you want. The most important feature is that this Mac video converter is fully compatible with Mac OS X Mountain Lion, Mavericks, Yosemite as well as the latest version El Capitan. Just download it as the best video solution for you to solve all the incompatible issues on Mac. * Support Presets for Almost All Popular Devices, iPad, Android, etc. * Edit Videos through Trimming, Cropping, Adding Watermarks, Insert Subtitles, etc.